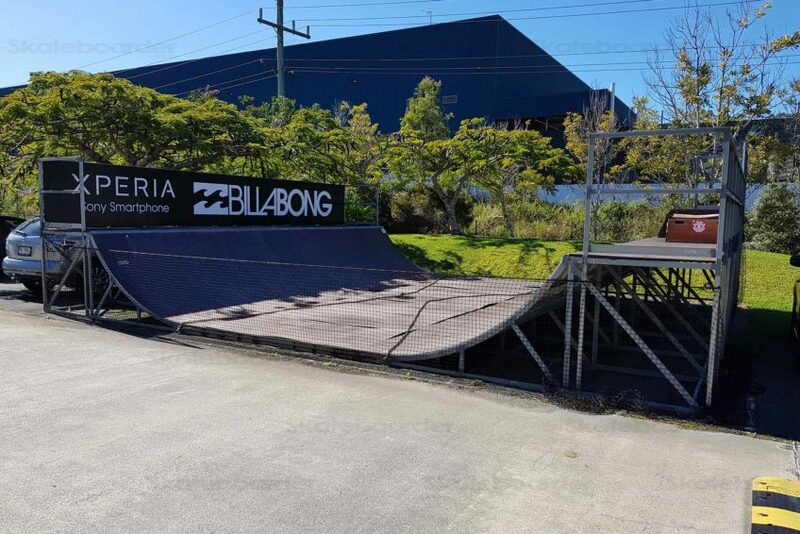 Tucked away in the car park at Billabong Headquarters in the Billabong Mini Ramp. 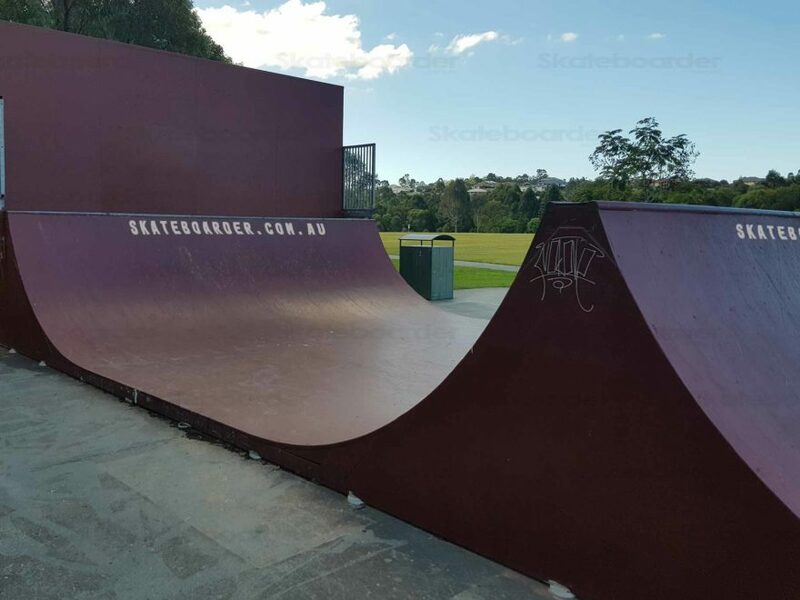 It looks like it’d be great to skate, fun sized, wide, with an extension. 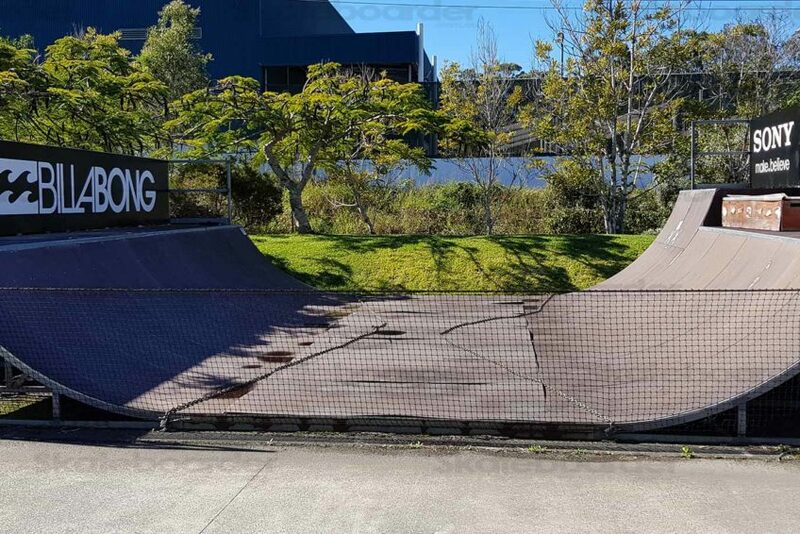 The halfpipe appears well made, with it’s metal framing, platforms and signage. Unfortunately the bottom sheets have warped and are sticking up. So even if you got a golden ticket, and the chains across the flat were removed, you’ll need to resurface it before you can have a roll. As an added note, I think I need one of these in my back yard.